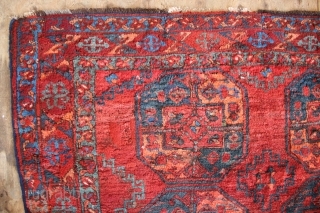 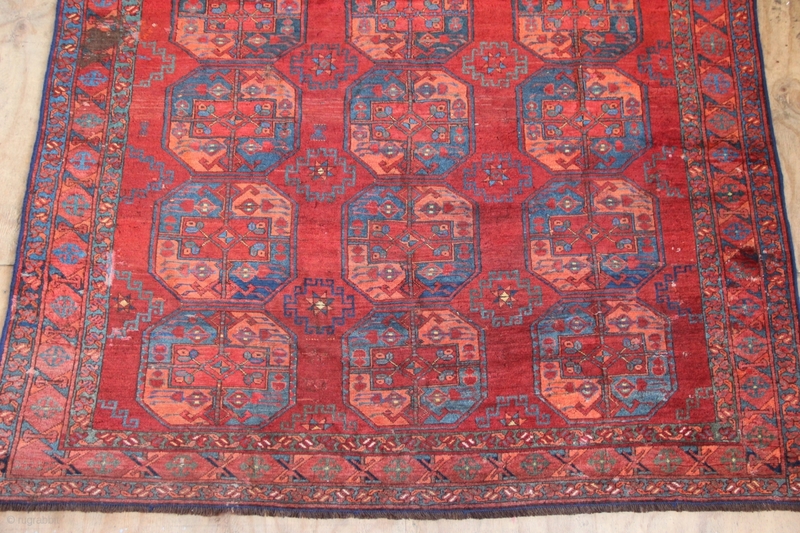 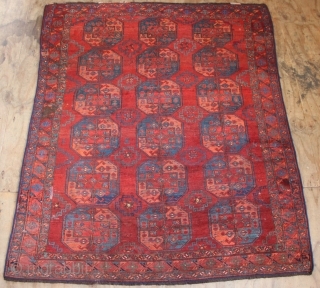 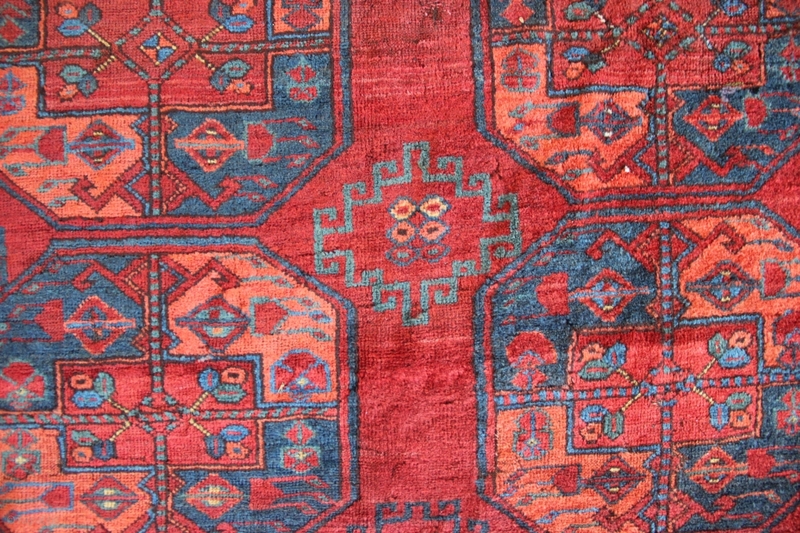 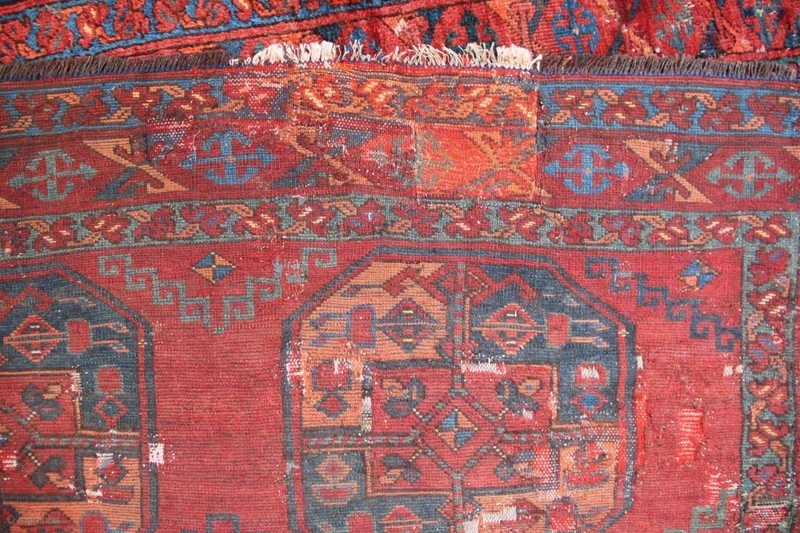 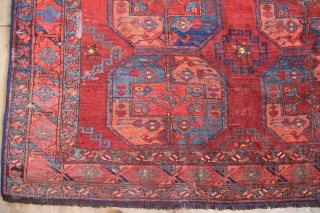 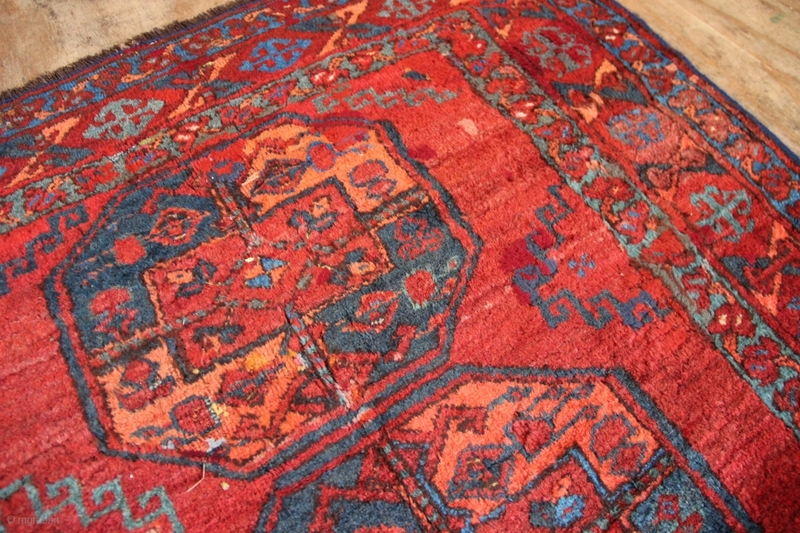 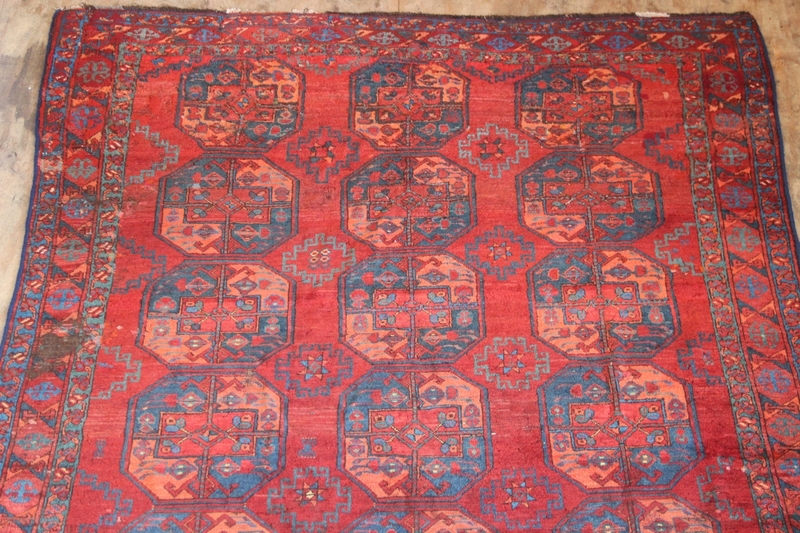 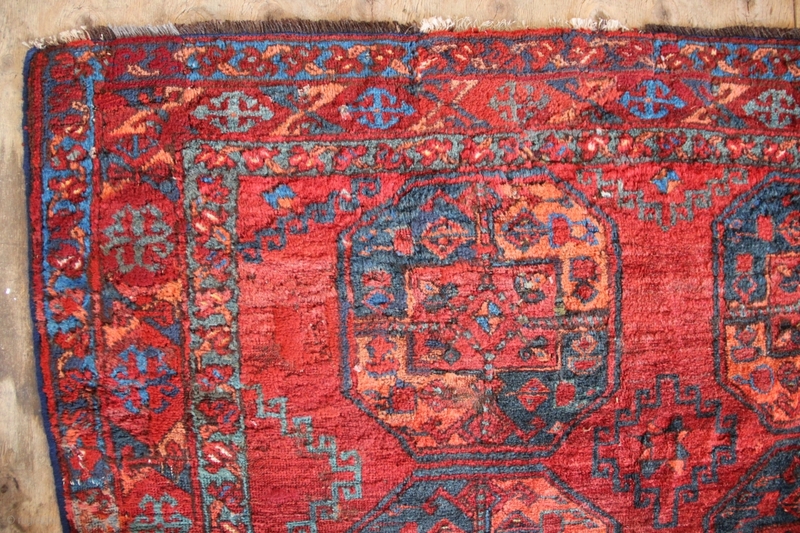 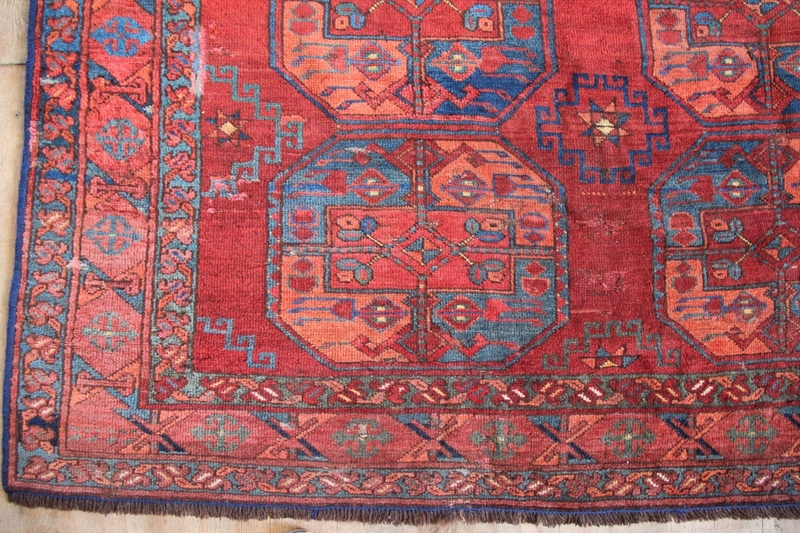 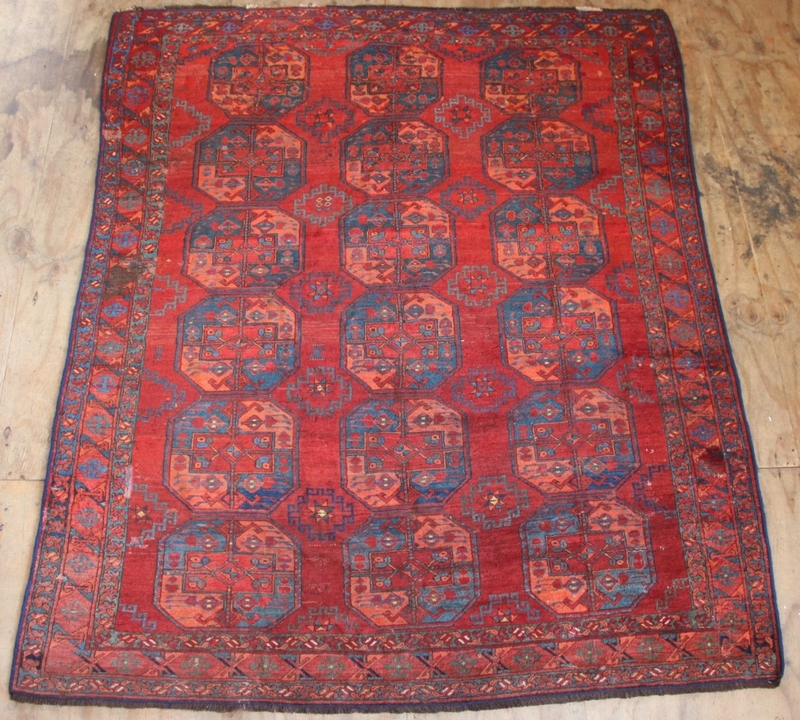 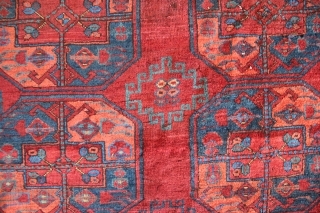 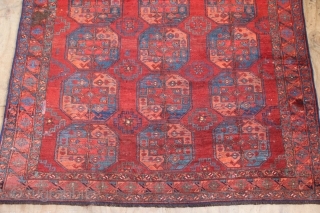 Richly coloured early 20th century Ersari carpet with shimmering wool. 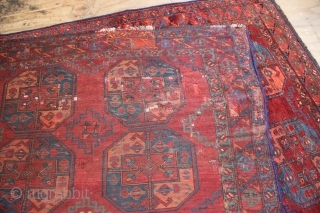 Nice mid blues, yellow and grass green. 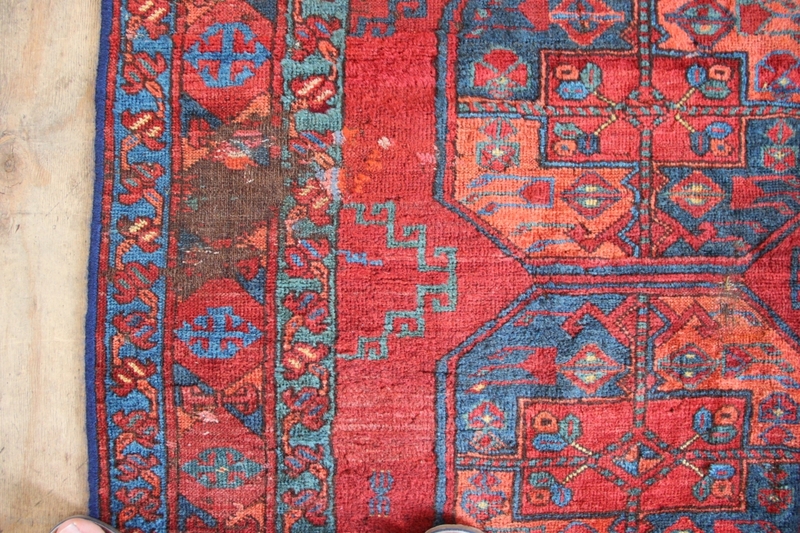 Sides reduced, kilims missing,many old reweaves and some wear, to the foundation in one place. 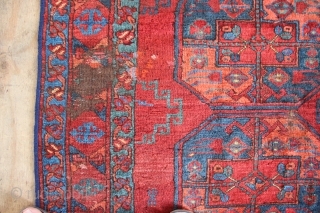 However still floor worthy and a handsome rug at a very reasonable rate. 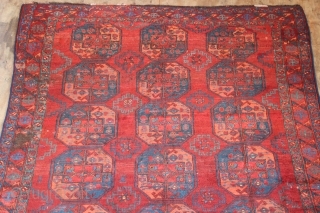 6'10" x 8'3" / 210 x 252cm.